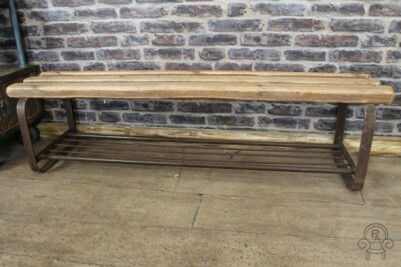 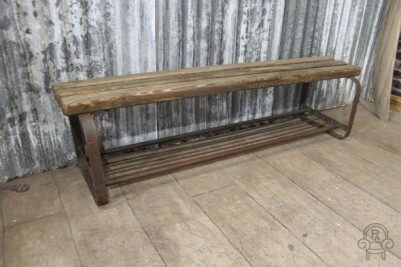 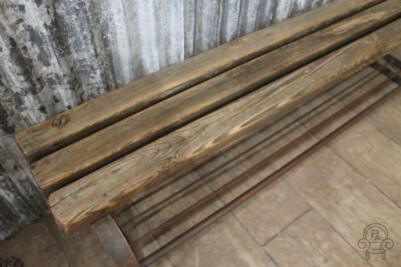 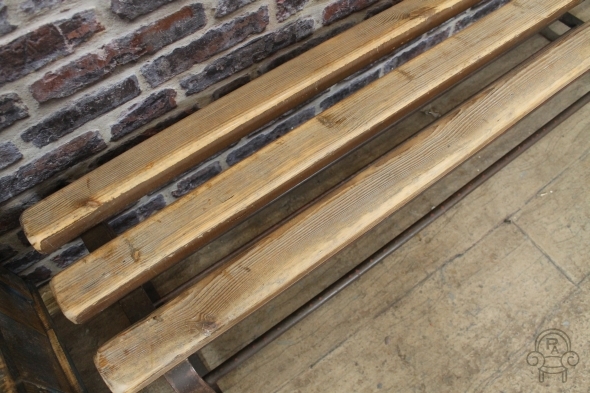 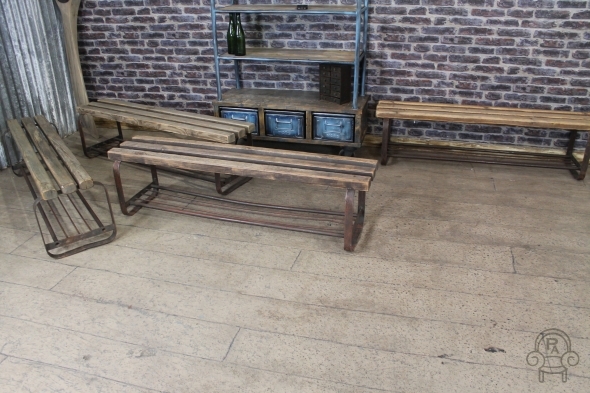 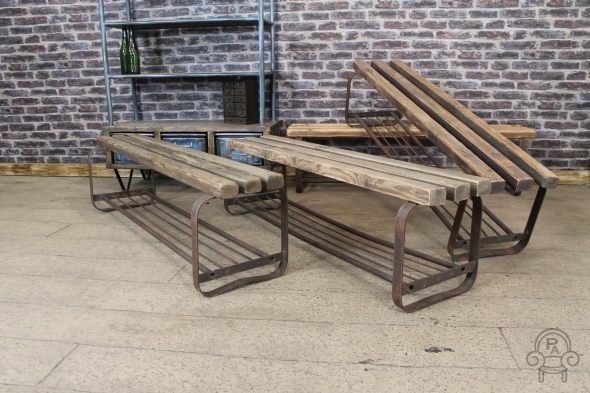 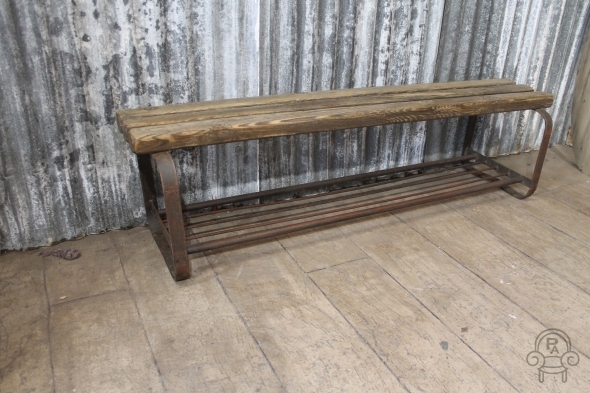 This fantastic industrial bench comes from our extensive collection of vintage and industrial furniture. 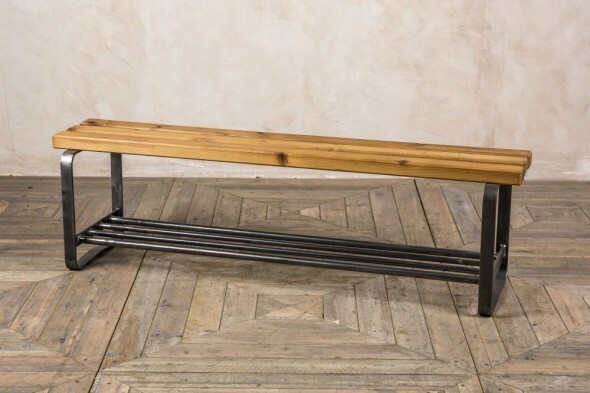 These benches feature a curved metal and tubular construction base with a small tubular section for bags or shoes. The top is made up of three large, rustic, solid pine slats. Originally acquired from Eastern Europe, this late 1940s bench has lots of character and would be a quirky addition to any restaurant interior. 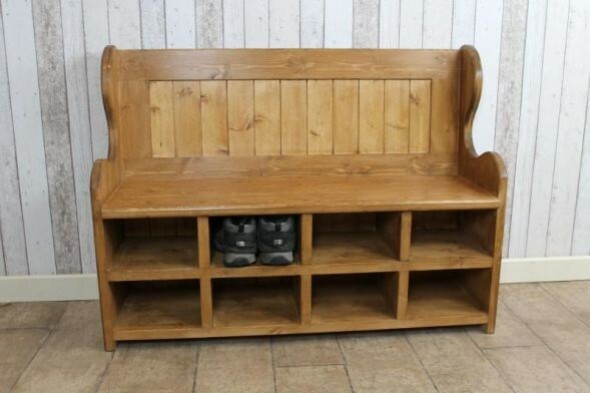 The added underneath storage means customers can store their bags in a restaurant or bar, or use it as somewhere to place shoes in a large hallway. 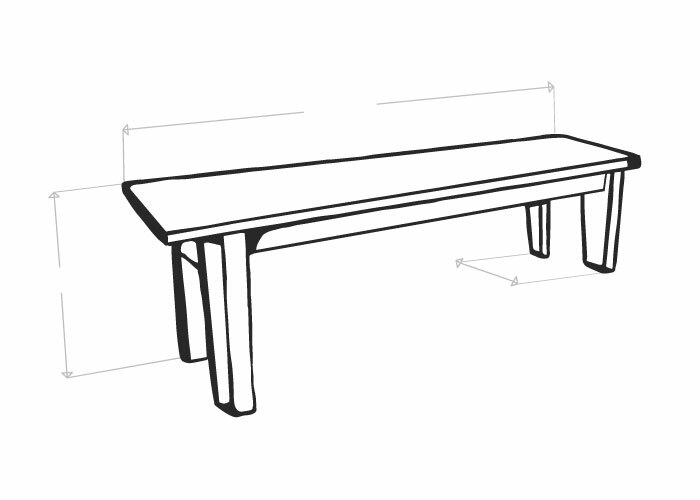 The bench has a height of approximately 42cm (16.5"); however, at no additional cost, we can lift it up by up to by adding some small timber slats to the base of each foot. 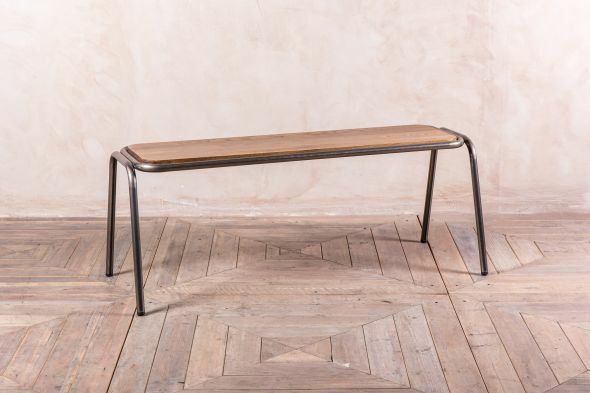 This will give you your required seat height while also protecting your floor. 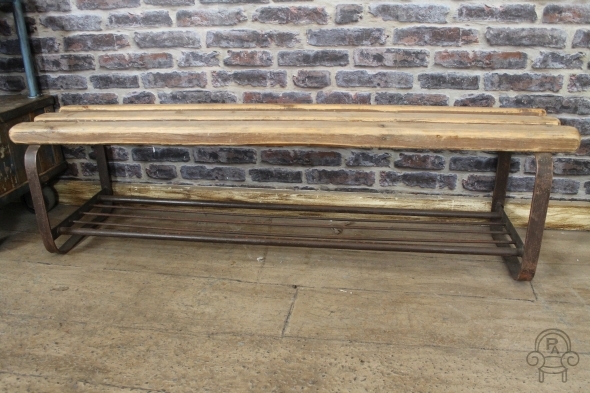 Standard seat height is 46cm (18"); please do not hesitate to contact us if you would like any further information on this. This industrial bench is in good condition. 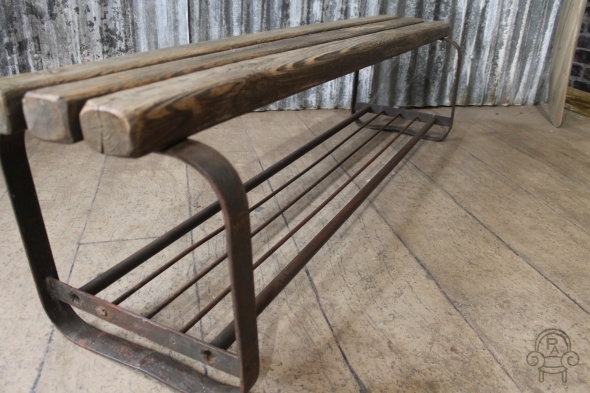 As it is a vintage piece, it will show some signs of general wear and tear, which only add to the item's rustic character. Please be aware that this listing is for one bench only, but we do have more in stock. Other items photographed are not included in the price.